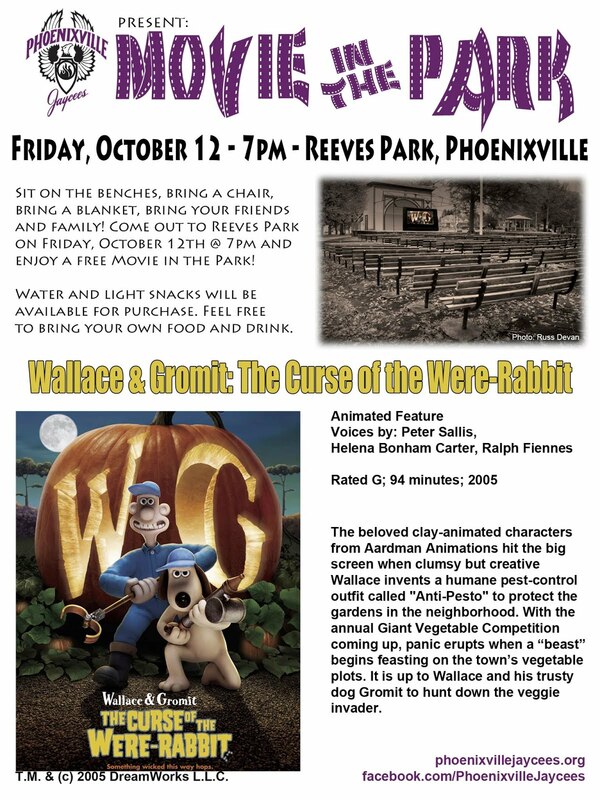 This Friday, October 12th, the Phoenixville Jaycees will be hosting Movie in the Park. 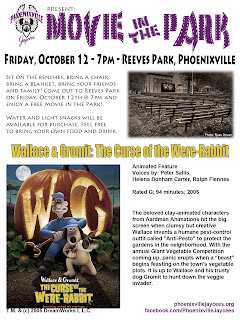 This free event will be held at Reeves Park beginning at 7pm and will feature Wallace and Grommit: The Curse of the Were-Rabbit. For more information, click the image below.